Can You Go to Canada with an Assault Charge? Visitors to Canada may be unaware that a domestic violence or assault conviction on their criminal record can make them inadmissible to Canada due to criminality. Since there is no presumption of innocence at the Canadian border, even an arrest for assault or battery without a conviction can render a person ineligible to cross the border. Both misdemeanor assault and felony assault can lead to an American being denied entry by Canadian immigration officials unless they are issued a Canada Temporary Resident Permit or undergo Criminal Rehabilitation. A Temporary Resident Permit can overcome a person's criminal inadmissibility for a limited duration of up to three years, allowing them to go to Canada for a specific purpose. Canadian Rehabilitation can enable a person to permanently overcome their criminal record for assault so they can visit Canada for any reason, but is only available five years after a person has finished all their sentencing requirements including any jail time and probation. Convicted of assault and want to get into Canada? Contact us now for a free consultation with our Canadian immigration law firm. Assault is considered a hybrid offense according to Canadian law, which means it may be regarded as an indictable offense which is more serious than a summary offense. Since admissibility at the border is determined by the equivalent crime in Canada, US residents charged with assault may be considered criminally inadmissible to the country unless they have received special entrance permission from the Government. Getting into Canada with a misdemeanor can be a challenge, so even if your assault charge is not a felony, it is recommended that you consult with a lawyer before flying to Toronto, Montreal, Vancouver, Calgary, or any other Canadian city. Whether it was an unfortunate domestic situation or a drunken bar fight that got out of hand, any conviction for assault or battery can cause an American to be refused admittance at the border regardless of how long ago it happened. Individuals who have been charged with assault or battery, even if it is only a misdemeanor offense, may never be free to enter Canada again for the rest of their life even if it has been more than ten years since the incident. Crimes that involve physical harm to others are excluded from automatic Deemed Rehabilitation, which means Americans with a misdemeanor or felony assault record may never be deemed rehabilitated by virtue of time and could need Canada Criminal Rehabilitation even 25 years after the incident occurred. Consequently, if you have any assault conviction in your past you may be considered permanently inadmissible to Canada and consistently at risk of a border denial unless you attain special entrance permission. 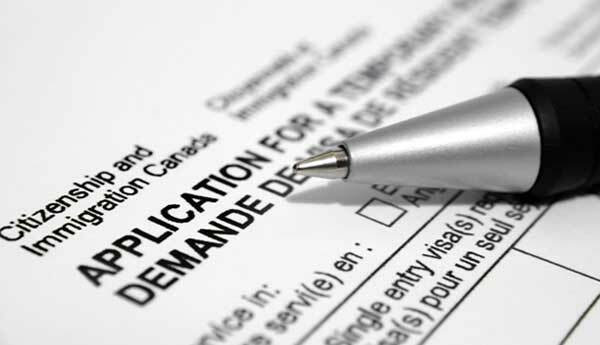 Although it is possible to apply for Canadian Criminal Rehabilitation or a Canada Temporary Resident Permit on your own, similar to representing yourself in court it is likely not a very good idea. Traveling to Canada with a criminal record can be tough enough for foreign nationals with non-violent offenses such as driving under the influence of alcohol (DUI), but it is typically even more difficult for people with criminal records for violent offenses or drug-related crimes. Canadian immigration officials have a duty to protect their society from foreigners with a history of dangerous crimes, and in order to be given special permission to enter the country you must convince them that you do not pose a threat to the country despite a criminal record for one or more assaults. An experienced Canadian immigration lawyer knows the ins and outs of the TRP application process and can write a compelling narrative explaining why you should be given permission to visit Canada despite an assault appearing on your criminal record.